Required materials: Red Scale x15, Green Scale x15, Blue Scale x9, Yellow Scale x9, Purple Scale x3 and Orange Scale x3. Required materials: Red Scale x16, Green Scale x16, Blue Scale x10, Yellow Scale x10, Purple Scale x4 and Orange Scale x4. Required materials: Red Scale x18, Green Scale x19, Blue Scale x11, Yellow Scale x11, Purple Scale x5 and Orange Scale x5. Required materials: Red Scale x20, Green Scale x20, Blue Scale x12, Yellow Scale x12, Purple Scale x6 and Orange Scale x6. Required materials: Red Scale x22, Green Scale x22, Blue Scale x14, Yellow Scale x14, Purple Scale x7 and Orange Scale x7. Required materials: Red Scale x23, Green Scale x23, Blue Scale x16, Yellow Scale x16, Purple Scale x8 and Orange Scale x8. And once more there’s a bug. Can someone give me a hint, because using the normal form doesn’t work. Does anyone have a list of WHICH color scale is produced by WHAT dragon? Or is it random? It’s bad enough there is no room for them all, and making the same ones is just silly. It’s not random. But it’s hard to figure out which is which – I can’t find a list online anywhere. Whatever scale the dragon produces when you make it is what it’ll yield. Right now I need purple scales, which I know the Abhavor dragon produces. Actually, my mistake. 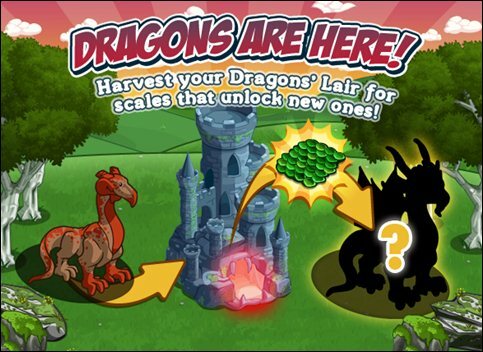 I think it is random, since I just set up one dragon in each lair and still only got a blue and green scale. Well…I guess I just won’t make every dragon, since I’ll never get enough scales. It’s not random. Well yes and no. Harvesting the dragon lair produces a random scale. There’s some critera about it but I haven’t figured it out and the programming team isn’t telling.